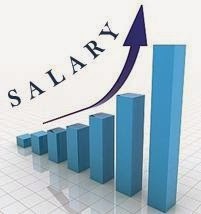 Malaysian employees are expected to see an average salary increase of 5.7% in 2014, higher than the national average salary increase of 5.3% this year, given the good growth prospects for local businesses going forward, according to a latest survey by Towers Watson. Findings of the 2013 General Industry Total Rewards Survey – Malaysia also found that employee turnover rate in the general industry in Malaysia has increased to 13.2% in 2013 from 12.3% last year. "Manufacturing, conglomerates and financial services industries were experiencing high staff turnover, with manufacturing experiencing 24% employee churn, conglomerates at 14%, business process outsourcing at 19% and financial services at 13.3% this year," said Towers Watson in a statement yesterday. It attributed a key reason for the higher turnover rate in the Malaysian general industry to employees feeling that the economy will remain stable despite the uncertain global climate. "Another reason is that local organisations are also actively taking steps to improve their employee value proposition to attract top talent besides offering higher salaries and faster growth opportunities" said Towers Watson global data services practice leader for Southeast Asia, Sean Darilay in a statement yesterday. He said an earlier Towers Watson's 2012 Global Workforce Study revealed that 51% of Malaysian employees felt that they have to switch to another organisation to advance in their career or to achieve higher job level, with an "alarming" 83% of them willing to relocate to achieve this. "It is unsurprising that career development is a priority for employees in Malaysia where growth prospects are brighter. As the working class population expands, many young workers are demonstrating a strong desire to build a successful career in line with their aspirations to achieve a better quality of life," Darilay said. "Employers should also recognise that while pay is still an important element in the equation, the key is to be able to design a comprehensive employee value proposition that balances different drivers and motivators of performance," he added. Entry level salaries for fresh graduates increased by 8% in 2013 and ranges between RM2,400 and RM2,800 per month. In comparison to this, entry level salaries for MBA graduates range between RM2,600 and RM3,000 per month. The survey findings noted that positions in sales, information technology, finance, marketing and customer services/technical support remained as hot jobs. "This is due to the continuous need for organisations to strengthen their brand, improve sales leading to improved ROI and reduce operations costs by improving technology efficiency and productivity," Darilay said. The 2013 General Industry Total Rewards Survey – Malaysia saw over 350 organisations from across industries in Malaysia participating. It is an annual survey that provides insights into current compensation practises and trends in Malaysia, thereby aiding organisations to make informed decisions with respect to their total reward programmes.